Located on the Canadian border, in Minnesota's Northwest Angle, the Angle Inlet School is the only surviving one room school in the state. 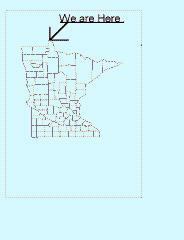 Although sixty-five miles from Warroad, Minnesota the school is part of the Warroad School District #690. .
Linda Kastl has been the teacher at Angle school for over a decade. She lives on the nearby Bear River with her husband, Tom and her three children. Her children are now of school age and join the "crowd" at the Angle school. Last year, there were as many as twelve students. Enrollment in spring 1997 included several Grand Forks students displaced by the floods. Enrollment often varies seasonally. There are often children that arrive by boat from nearby and not so nearby islands. During the winter, some students have traveled daily to school via snowmobile. The telephone system at Angle Inlet was recently upgraded from radio telephones to a modern state of the art installation. This new system will enable high-speed connections to the internet. 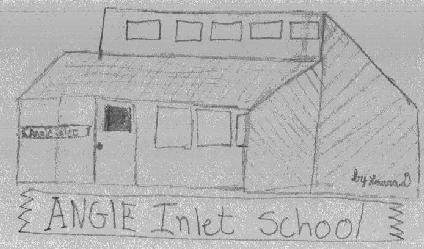 The Angle Inlet School hopes to be able to exchange school information and stories with the outside world via the net. Please help us get going on the "net"; send us an e-mail at "anglescl@wiktel.com"
Wild Life of Lake of the Woods See if you can find all the animal stories! School Aide, Mary Carlson, helping Brett with his fractions.